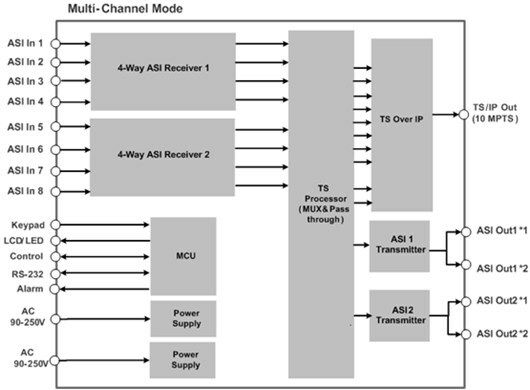 ADV-3820MX is a professional broadcast DVB-TS Multiplexer with dual independent multiplexing units. 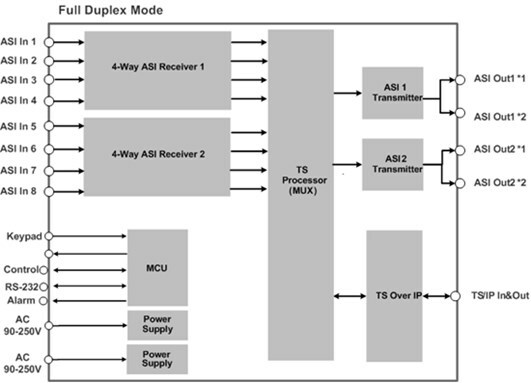 It can re-multiplex transport streams received over ASI and one GbE interface to be output to the GbE interface and 2 independent ASI output ports. Also supported is advanced management of PSI/SI tables, service filtering and remapping.